Nobility | Irene Abdou Photography, LLC - Travel. Lifestyle. Documentary. NGOs, Development & Public Health. 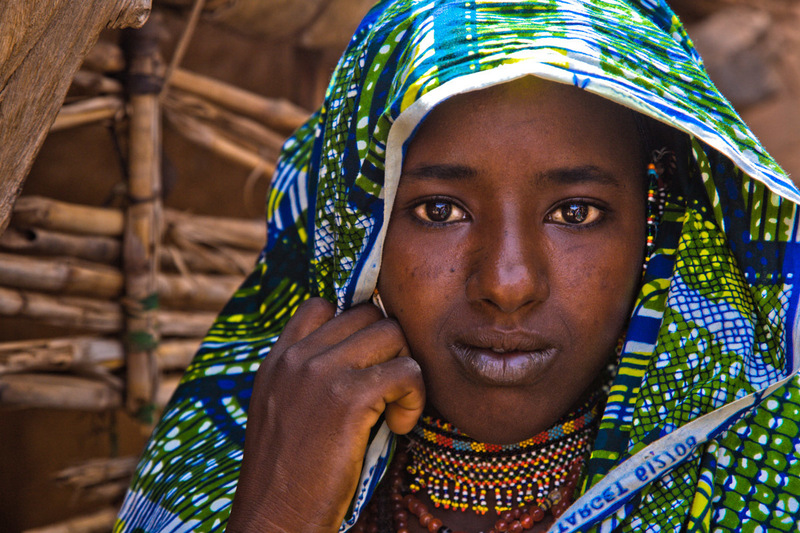 This Fulani woman has walked to Torodi from a village ten miles away to attend the weekly market. She wears her brightest newest clothing to show off on market day, together with her bead chokers and beaded earrings. Her jewelry is handmade and can take days to make. Women from the villages typically bring a variety of produce (such as milk and fruit) and handmade goods (such as grass mats, woven calabash covers, and traditional soap) to sell at the market. They will return home with cooking ingredients and sometimes cloth.